I am in a meeting with my pastor, just a few days before an impending surgery. My nerves are jittery, my mind racing. I am searching for answers anew from a man who I believe may be able to hear more clearly from God than I can in my present state. Seconds before, he informed me that he believes I will carry my scars with me to heaven. That the promise of a new body does not mean that we will reside in heaven scar-free. A thought evoking within me a strong sense of sadness. I never wanted these scars in the first place. Am I doomed to carry them even in eternity? 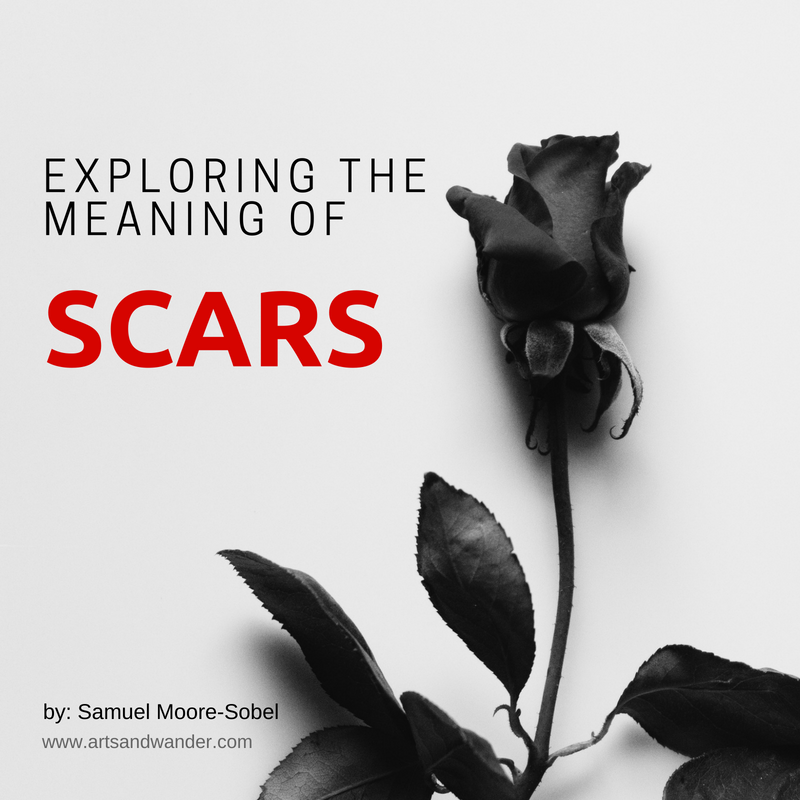 Scars are present within the lives of the characters found in the Bible. The first mention of a person possessing a scar is Cain, son of Adam and Eve. The Bible tells us in Genesis 4:15-16, “Then the Lord put a mark on Cain so that no one who found him would kill him.” The nature of the mark is up for debate. Some scholars suggest it to be a scar, while others argue the mark was a tattoo - even a change in skin color. Regardless, the mark is intended to prevent others from killing the man who had wrongly murdered his brother. Ironically, “the mark that saved him was the lifelong sign of his shame,” according to the MacArthur Study Bible. We all have scars. 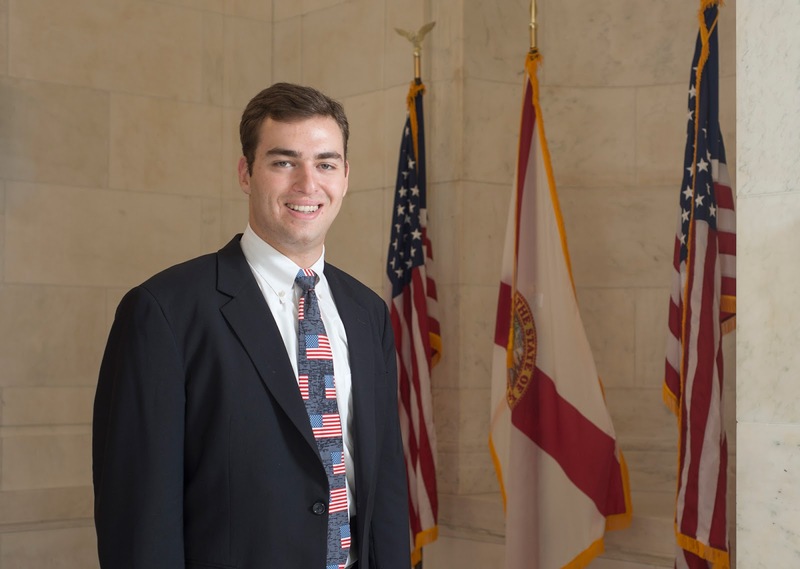 They may be incurred as a result of spilling onto the pavement after falling off of a bike as a child, getting into a car accident, or undergoing a medical procedure. Even if we manage to escape this life without any physical scars, we certainly incur emotional ones along the way. These may form as a result of experiencing a breakup, losing a loved one, or enduring a traumatic event. We all have them, whether we readily admit to possessing them or not. Whether the world can see them, or if we can disguise them through various forms of obfuscation. Hiding does nothing to make them less real. 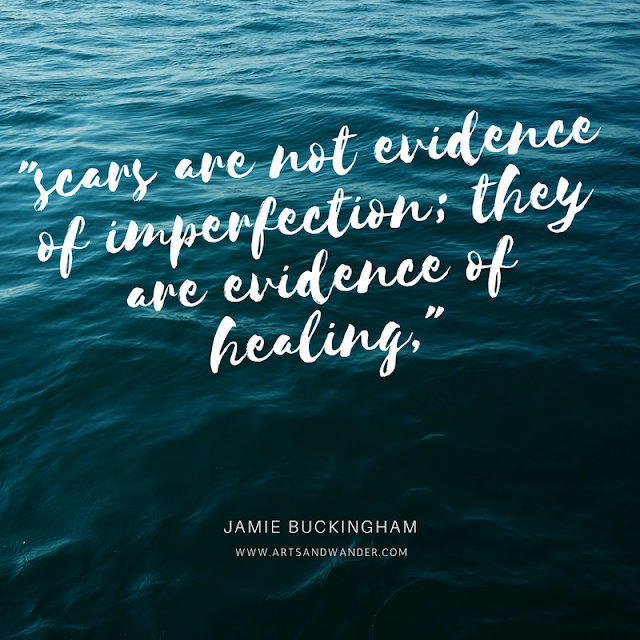 “Scars are not evidence of imperfection; they are evidence of healing,” Jamie Buckingham wrote. Scars are evidence of survival, meant to be cherished rather than hidden. After all, Jesus shares His scars with His disciples after His resurrection. In this moment, Jesus meets His disciples where they are, actively working to dispel their doubts in a real and personal way. The disciples identify Jesus through His scars, seeing them as evidence of His true identity. What would it look like if others knew us by our scars? I still remember the exact moment I first saw my scars. After suffering second and third degree burns as a result of an accidental encounter with sulfuric acid, I was tossed a mirror while sitting in a hospital bed. I saw the dark, ugly lines running down my face and arms. I shuddered, the seeds of shame planted in those early days. Feeling shame as a result of possessing scars is common. So many of us who have scars, consciously or not, see them as a curse. We espouse the sense of shame inherent in the story of Cain, even if our scars formed through no fault of our own. Some of us even wonder if Cain’s story is our own - did God allow us to have scars because of sin present within our own life? Scars are a product of living in a sinful world. Adam and Eve’s disobedience ensured that pain would be an inevitable part of our lives. Sin affects us all, even if we are blameless in the set of circumstances that led to a life-altering event. Scars are inherent in the human experience, a part of living in a world devoid of perfection. Yet we have a Savior who loves us no matter our scars, both visible and invisible; and, He is calling us to follow His example by sharing our scars with others as we travel the road towards heaven. A few years into my own journey towards healing, I decided to stop talking about the scars that adorn both my face and arms. I traveled to college, believing that a fresh start would allow me to forget about the day that changed my life forever. Until I realized that I was robbing myself of the opportunity to allow God to bring about a redemptive work in my life. 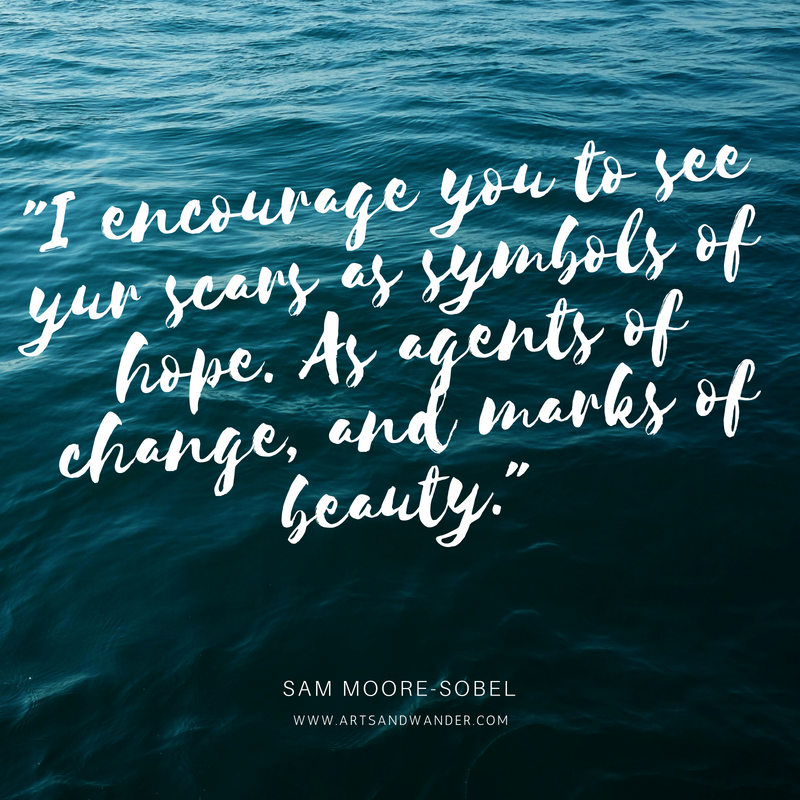 Sharing my scars offers hope to others as they experience suffering. Helping me to reach a place of acceptance in the present. So today, I offer you my scars. I want you to see the red line encompassing the right side of my upper lip. I want you to see the scars on my chin, neck and arms. I want you to see the pain inherent in these marks - a pain that will last a lifetime. At the same time, I want you to see these scars as symbols of survival. Of evidence of God’s grace; and as a cause for celebration of the life I live in the present. I have grieved the face which I have lost, and now celebrate the ways in which God is using my story to impact the lives of countless others. My hope is that you will join me in doing the same. 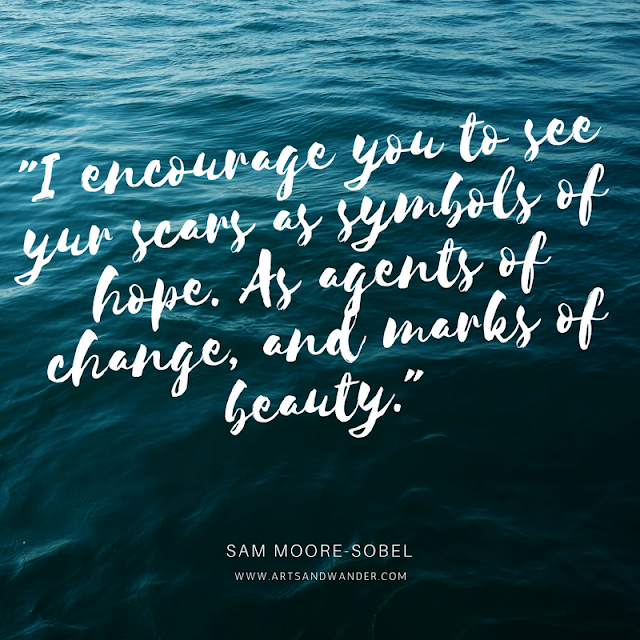 I encourage you to see your scars as symbols of hope. As agents of change, and marks of beauty. Eschewing shame in favor of reaching out to others, living out the life God calls us to lead. May you have the courage to come to peace with the parts of yourself you are tempted to change; and, take steps to actively cultivate hope in your life, each and every day. Love this post. I never heard that Jamie Buckingham quote before. How fulfilling to read this post as I deal with impending baldness that is starting to reveal the scars left behind from surgery I had at birth. Didn't know the story about Cain. That's actually a really interesting interpretation as to what a scar represents. Mine are from self infliction or doing stupid athletic stuff (chasing ice cream trucks, flying off skateboards, etc...). The only ones I despise are the ones self made. It's been a minute since I've stopped by. Amazing new post happen to find! That is nice to hear really! NIce that when you dropped, you found an interesting post!